Chadema chairman for Moshi Region Philemon Ndesamburo said he would file a petition in the High Court here today to challenge the victory of Prof Jumanne Maghembe (CCM - Mwanga) and Dr Mathayo David (CCM – Same West). 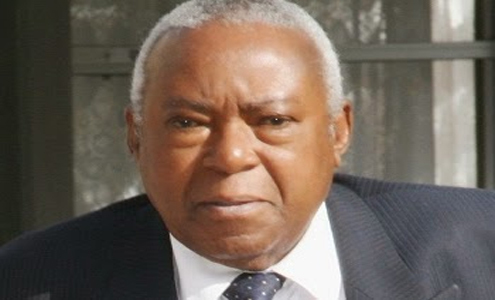 Mr Ndesamburo, who served as Moshi Urban Member of Parliament for three consecutive terms before he voluntarily called it quits ahead of the just-ended General Election, bragged, saying 2020 would be the end of the Chama Cha Mapinduzi in the region. The Chadema cadre said he was proud of the opposition camp defeating two Cabinet ministers in President Jakaya Kikwete’s administration in Kilimanjaro Region. The two defeated former Cabinet ministers in the region were Anne Kilango-Malecela (CCM – Same East), who was deputy minister for Education and Vocational Training, and Aggrey Mwanri (CCM – Siha), who was deputy minister in the Prime Minister’s Office (Regional Administration and Local Government). Ms Kilango was defeated by Ms Naghenjwa Kaboyoka, a Chadema candidate who garnered 18,836 votes compared to 15,339 votes cast in favour of the former deputy minister. Dr Godwin Mollel, also of Chadema, defeated Mr Mwanri in Siha by a margin of over 4,000 votes, as 22,746 votes were cast in favour of the victor against 18,584 of the former deputy minister. “We’ve done a tremendous job and residents in the region have rallied behind us,” he told journalists here yesterday. Of the nine constituencies in the region, Chadema has won seven, leaving the remaining two to the ruling party.